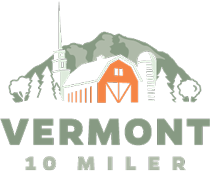 Join us at the third annual Vermont 10 Miler on Sunday, November 3rd in Stowe, Vermont. Space is limited to the first 1,800 registrants! Register Here. The course is a stunning, challenging tour of Stowe’s beautiful countryside, winding up and past some of Vermont’s most beautiful Autumn vistas. Earn extra bling (and bragging rights) by joining us for all three of our New England 10 Miler road races! Starting in Portland, on April 28th, then heading to Newport, Rhode Island on June 2nd and finally, Stowe, Vermont on November 3rd. 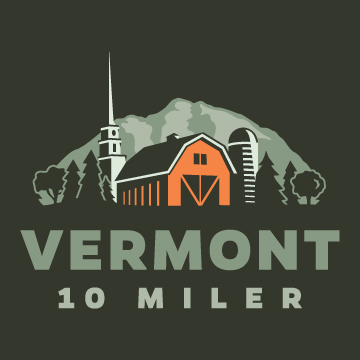 Registration is now open for the third annual Vermont 10 Miler. This challenging race is the final event of the New England 10 Miler Series and will be held on Sunday, November 3, 2019. We hope to see you there! Congratulations to all the runners and walkers that took on the hills of Stowe at our second annual Vermont 10 Miler! We hope to see you again next year! After the race, come join us in the finish area to celebrate your accomplishment! All 21+ finisher’s will receive a delicious craft beer from our friends at von Trapp Brewery — with the first one on us! Athlete food will be available, including fruit, bagels and granola bars. We’ll also have some local food vendors onsite selling so you can refuel properly, all while enjoying the park and the mountain views. Family and friends are welcome in the beer garden, too! The course is a stunning, challenging tour of Stowe’s beautiful countryside, starting at Stowe Land Trust’s Mayo Farm Event Fields before turning left on to West Hill Road. Winding up and past some of Vermont’s most beautiful Autumn vistas, at Mile 7 the course joins the Stowe Bike Path for the final 3 miles of pedestrian-only traffic, crossing the West Branch River and finally returning to Mayo Farm.